Debora O’Neill brings to the firm over 25 years of litigation and trial experience in commercial and complex civil litigation in state and federal court in a wide variety of cases. An important area of her practice involves the prosecution of serious and life altering injury cases resulting from use of household products, industrial machinery, pharmaceutical drugs and dietary supplements. A substantial portion of Debbie’s practice is also devoted to the counseling, resolution and litigation of employment separations and severance pay, coupled with the issues often created by non-compete and restrictive covenant agreements. Debora O’Neill has extensive experience in complex commercial and tort litigation in state and federal court, including federal multidistrict litigation. She has obtained substantial recoveries, including some of the firm’s largest multi-million dollar settlements, for clients in her many years of practice in the litigation of product liability claims involving machinery, household goods, over the counter products, and pharmaceutical drugs. She also brings to the firm and its clients extensive experience in both the prosecution and defense of class actions including actions involving contracts, consumer fraud, consumer products, credit reporting and securities. Debbie’s commercial litigation experience spans cases involving a wide variety of business problems including contract and sales actions, shareholder and partnership disputes, construction and building disputes, and collection of receivables. Debora O’Neill regularly represents clients in cases involving business torts, including interference with contractual relations, fraud claims, unfair competition, and misappropriation of customers, assets and intellectual property. These types of disputes often present the need for injunctive relief and temporary restraining orders requiring fast paced litigation on a compressed schedule. Debbie has successfully resolved and obtained recoveries and relief for minority shareholders and terminated employees, providing compensation for their interests as well as assuring their ability to pursue future employment. 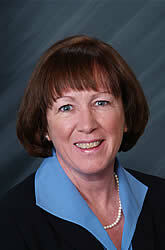 Debora O’Neill received her law degree from the Villanova University School of Law in 1981. She attended Penn State University, where she majored in Architecture receiving a Bachelor of Science degree in 1978. Debora O’Neill is admitted to the bars of the states of Pennsylvania (since 1981) and New Jersey (since 2001). She is also admitted to the bars of the United States District Courts for the Eastern District of Pennsylvania, and the District of New Jersey and the United States Court of Appeals for the Third Circuit. Over her many years of practice, she has been specially admitted to practice for cases in a number of other federal and state courts. Debbie is a member of the Pennsylvania and Philadelphia Bar Associations and has been assigned Martindale-Hubbell’s highest AV rating. Litigation of complex civil cases involving serious personal injury, product liability, wrongful death, pharmaceuticals, dietary supplements, commercial and contract litigation, minority shareholder disputes, business disputes, business torts, defamation, employment claims, and post-employment non-complete and restrictive covenant cases.